A Final ReportSubmitted to the Forest Hydrology Laboratory, Southern Forest Experiment Station, Oxford, Mississippi, and the Holly Springs National Forest by J. Stephen Brewer, Ph.D. and Steven M. Aquilani, Department of Biology, University of Mississippi, and Melvin L. Warren, Ph.D., Forest Hydrology Laboratory, Southern Forest Experiment Station, December 1, 2000. 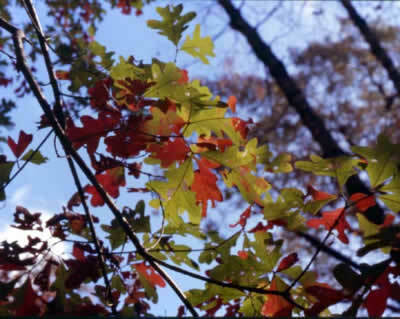 This report provides a brief review of past watershed-related research in and around the Little Tallahatchie Experimental Forest and Holly Springs National Forest. In addition, the bulk of the report focuses on results of research on 1) correlations between tree species composition and recent changes in fire frequency, 2) what constitutes a historically important fire/disturbance regime in oak-pine forests in north-central Mississippi, 3) the relationship between avian community structure and prescribed burning, 4) the relationship between nesting success of forest-obligate migrant bird species of concern and prescribed burning, and 5) the effects of simulated fire on flowering of a fire-adapted forb in an infrequently-burned oak-pine forest. 7) Pityopsis graminifolia (a native fire-adapted forb) showed no enhanced flowering in response to simulated fire within a long-unburned oak-pine forest at LTEF. This lack of response contrasted sharply with its enhanced flowering responses to fire or simulated fire (clipping/litter removal) in pine savannas in southern Mississippi and in open, roadside areas at Holly Springs National Forest. We conclude our report by identifying future research opportunities, with a particular emphasis on the role of prescribed fire in biodiversity conservation and restoration. We outline approaches for restoration of oak-pine-bluestem communities in northern Mississippi and identify some potential benefits and consequences of such restoration efforts to the conservation of biodiversity in upland oak-dominated ecosystems. Aquilani, S. M. and J. S. Brewer. 2005. Area and edge effects on forest-obligate species in a non-agricultural landscape in north Mississippi, USA. Natural Areas Journal 24:326-335.